Do cold hands got you avoiding the outdoors this winter? If your answer is yes, maybe you should look into upgrading to a new pair of gloves. Better yet, you should look into upgrading to the Dakine Odyssey Glove! I’ve had the opportunity to test these gloves while skiing, snowshoeing, hiking, and walking this winter. To be honest, I’m not a huge glove person. I’ve owned mittens for as long as I can remember because I have minimal circulation in my fingers. With mittens you can keep your fingers warmer with your own body temp, gloves need insulation on every finger. I was, however, excited to test out the Dakine Odyssey Glove to see if my glove vs. mitten theory was accurate. I have to say I was pleasantly surprise at how much I liked having gloves on. The Gloves offered me dexterity that I haven’t had for a long time. In addition, they kept my hands fairly warm for hours in the great outdoors. The shell is made out of durable water repellent leather and a polyester blend treated with durable water repellent (DWR). The soft leather/poly blend provide superior water repellent protection. I wore my Dakine Odyssey Gloves multiple times in blue bird conditions and twice in heavy snowfall. While skiing and snowshoeing in sunny conditions the leather stayed dry even if I would grab snowballs and toss them every once in awhile. I found the DWR stood up nicely and I didn’t have any water saturation on my gloves. During my last ski day at Copper Mountain there was moderate to heavy snowfall during my 5 hours of powder bliss. After around 3 hours I started to notice that the leather was becoming wet and saturated on my upper fingertips and palms. The snow was quite wet and my snow pants were also becoming saturated, so I’m glad the Dakine Odyssey Gloves held up for 3 hours in the blistery snow. The temperature was 18 degrees and it is important to note that it was windy and cold! The mild saturation helped to enhance my hands being cold, but my hands would be cold even if I had them in toaster ovens! The heavy snow did not saturate all the way through to my hands. I was able to feel maybe a little bit of wetness but really I believe it was more cold/frozen then wet. Dakine does send a sample size of Nikwax with your gloves for extra waterproofing protection. I have not placed any on my gloves yet since I figured they were straight out of the factory so they should’ve had protection on them already. After my last ski day I will be using the Nikwax in hopes of reinforcing the waterproofing property. The Dakine Odyssey Glove insert is comprised of Gore-tex. Gore-tex is a durable waterproof, windproof, breathable fabric. Since the insert is made of Gore-tex, the snow shouldn’t have saturated my gloves all the way through. It only saturated the leather layer. Gore-tex fabric allows perspiration (sweat) to easily pass through its membrane to keep your hands warm while at the same time repelling the cold and water from reaching your hands. I don’t have much experience in the hand sweating department. My hands are generally more cold than warm but I love that the Gore-tex insert is breathable. On powder days when I do sweat, it doesn’t hang around in my gloves. When I hear the word insert it sounds like something that you can remove. The Gore-tex insert is stitched in the glove so if you’re thinking you can remove it, you can’t. This glove is filled with 170g of Primaloft Insulation which is a high performing synthetic insulation. PrimaLoft offers extreme warmth without heavy bulk so it is very lightweight, breathable, water resistant, packable and offers superior softness. 170g is quite a bit of fill compared to other gloves. 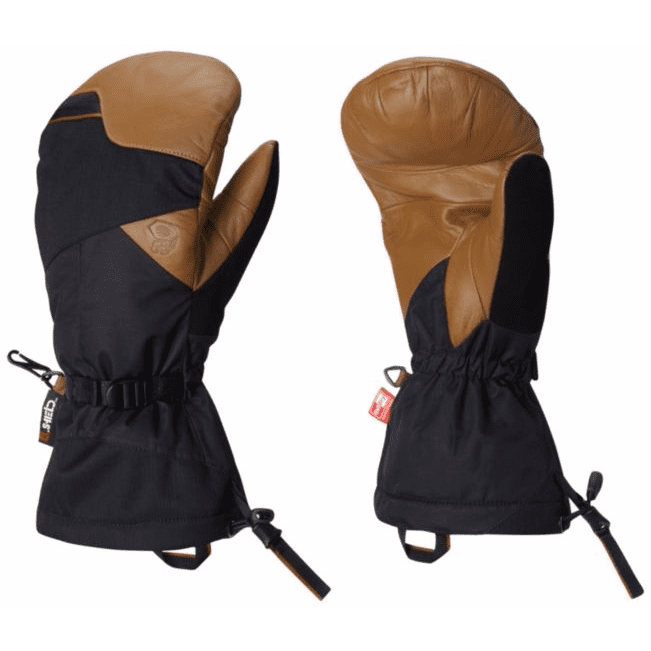 When you slip your hands inside the Dakine Odyssey Glove you will feel the plushness of the PrimaLoft and how it’s wrapped around every finger to offer superior protection and warmth against the outdoor elements. I noticed there is more fill on the top of my fingers than on the palm side to help with increased tactile ability and dexterity. The lining on the Dakine Odyssey Glove is made of 360g wool. Wool fibers readily absorb moisture and have a low rate of heat release. The wool lining offers a welcoming softness to your hands. The lining, insulation, and insert all work together making the Gloves moisture wicking and breathable. I am one of those people who starts their ski day out with 1 hot hand warmer in each of my gloves and carry a second pack that I usually end up opening and using after a few hours. I wanted to put my Dakine Odyssey Gloves to the test so when I skied in 25-43 degree weather I withheld my ritual and I didn’t even open my hot hand warmers. I did put a pair in my backpack but to my surprise I never opened them. I was able to ski 4-5 hours on both overcast and blue bird days with my hands staying quite warm. Occasionally during chair lift rides my finger tips would feel chilly so I just moved my fingers around by opening and closing my hands or I put my hands in a ball in my gloves. When the temp dropped below 20 I had to use my hot hand warmers. I usually just put them inside my glove on my inner palm. Although it makes gripping my ski poles a little more challenging, I welcome the warmth with open arms. Being able to ski in 25-43 degree weather without hot hands is a HUGE change for me. In those temps my hands never froze and I could always actually feel my fingertips. They would occasionally get a little chilly but quickly warmed up with increased hand movements. My fingers did freeze in 18 degree weather. It was a combination of 3 hours of skiing, high winds, a long groomer, and heavy snow. I had to stop a few times along the run and warm my hands up even with my hot hand warmers inside. 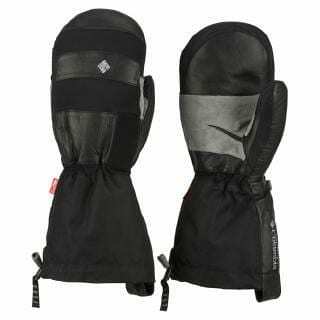 If you are the type of person that gets chilly hands but don’t have the extreme of white fingertips then the Dakine Odyssey Glove would be perfect for you in all temps. I’m unusual in that I have no circulation so I was very impressed with the overall performance the Dakine Odyssey Glove provided me with. If you are like me and have no circulation and you are staying active for hours in greater than 20 degree temps, I’m confident that you will love the warmth provided. The Dakine Odyssey Glove provided me with increased dexterity that I had been missing for years. Being able to use your hands without taking off your gloves is a big bonus for me. Since the PrimaLoft fill is so lightweight I was able to move my fingers and grip my ski poles without any constriction. Having the use of my fingers made getting snacks out of my coat pockets easy. On the outer thumb Dakine provides you with a soft fabric to make wiping your nose easy. In winter conditions when your nose is already irritated and cold being able to wipe your nose with soft material is a nice bonus. You can also wipe the snow from your goggles with the soft non-scratch fabric. Snow and cold stay out with the elastic band just above the cuff. The elastic band keeps your Odyssey Gloves in place without being too tight or constricting. Dakine made the cuff closure with an adjustable hook strap onto velcro. I was able to easily adjust my cuff with my gloves on to get the perfect fit. The cuff fit under my coat nicely further preventing any snow from creeping its way in. While carrying your Dakine Odyssey Gloves around you can snap them together with a convenient snap. This will keep them together so you don’t lose one! The only con I have with the design is that I would like to see a wrist strap. I usually take my gloves off on the chairlift to get my phone or change my music and I like having a wrist strap so I know my glove won’t plummet to the ground. No strap means only one glove can come off at a time so I can hold the other glove. Available in 3 sizes: Small, Medium & Large. I have petit hands and I received a size small. My hands fit perfect in them. The Dakine Odyssey Glove Doesn’t feel big or bulky. 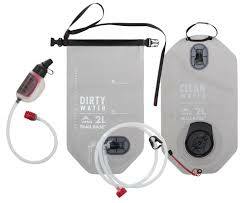 Dakine offers a very accurate size chart for you to get the perfect fit which is provided for you in the picture below. A perfect glove for any women looking to keep their hands warm this winter season. The first day of testing the Dakine Odyssey Glove changed me from a mitten person to a glove person. With easy tactile movements and increased dexterity gloves make gripping my ski poles and obtaining things from my pockets convenient. The combination of the leather/polyester shell keeps the cold and snow out while the PrimaLoft insulation kept my hands warm for hours. If you’re in the market for a new glove this winter don’t overlook the Dakine Odyssey Glove. Your hands will thank you!